P.W. Enns, founder of Triple E, operated a plumbing and heating business in Winkler, Manitoba. While serving on a volunteer trip in Elkhart, Indiana, P.W. realized an opportunity in travel trailer manufacturing within Canada. In 1965 he enlisted his two sons in law, Peter Elias and Phil Ens, and together they manufactured their first travel trailer. Triple E was incorporated on October 17, 1965. In 1966, 97 Compact trailers were built and in the following year 327 trailers were built to meet the demands of Expo 67 in Montreal. Canada’s first motorhome prototype, “The Caravan” was constructed on a salvaged Ford Truck Chassis. Built on a 1 tonne pickup, the prototype was constructed to be 22 feet in length, fully equipped with toilet facilities, hot and cold running water, shower, oven, refrigerator and wall-to-wall carpeting. Vancouver based entrepreneur, Jim Pattison, of Neonex Leisure Products, acquired a controlling interest in Triple E in 1969. Pattison was acquiring Canadian RV manufacturers and Triple E welcomed his business expertise and marketing skills to aid in its rapid growth. In 1970 P.W. sought out to build a motorhome on a GM chassis. With no chassis’s in GM’s lineup suitable for a motorhome addition, P.W. modified a GM truck chassis to create his vision. One year later, GM introduced a RV chassis utilizing similar engineering modifications. Fire destroys the entire operation. Fire spread through the factory destroying the entire operation, tragically claiming the life of General Manager, Henry Schellenberg of the Motorhome division. 75 staff were laid off and the company contemplated shutting its doors. It was the dedication, loyalty and work ethic of these 75 staff that would characterize the Triple E community. The staff called a meeting with management and offered their labour, free of charge, to re-build the plant. In 1974, during the economic downturn and two years after fire destroyed the Triple E plant, Phil Ens & PW bought back the company from Jim Pattison. Triple E Canada was restored to family ownership. Phil Ens became president and CEO, and P.W. became chairman of the board. Leisure Travel Vans was founded in 1978 by Reg and Saide Harder in Gretna, Manitoba. A plant to build conversion vans was started in 1979 in Guelph, Ontario to fill a need in the market. In the same year Triple E acquired Skylark Recreational Vehicles Ltd., located in Lethbridge Alberta. The Lethbridge plant manufactured a full line of class A, class C, travel trailers and fifth wheels. Production was later consolidated into the Triple E manufacturing facilities in Winkler, Manitoba.The Skylark brand “Empress” would soon be one of Triple E’s most successful product brands. Triple E expanded internationally targeting countries including Germany, Sweden, Holland, Norway and Japan; in the same year the Guelph, Ontario plant was moved to Winkler as a separate entity, Triple E Van Conversions Ltd. The Triple E Empress SE was launched in Canada in 1988. The bold new aerodynamic design featured a 45 degree sloped windshield for increased visibility. An interior and exterior re-design created an abundance of storage space. Climate Guard offered true winterization, with heated water tanks and storage areas. Triple E celebrated their 25th Anniversary in 1990. The company’s product line up included the Empress, the Empress SE, and the Regency. In 1990 the Class C Regency continued to gain popularity. The Regency offered all the amenities, design and features that a Class A offered, in a more compact unit, including Climate Guard four season comfort. In 1995 the Topaz Fifth Wheel was introduced offering a more affordable towable product into the Canadian market. The Topaz featured six different floorplan configurations with the quality and craftsmanship that Triple E was known for. Triple E launched the redesigned Empress - larger in size and featured a Freightliner rear-engine diesel chassis. This re-design, popular within the industry, enabled the entrance door to be located at the front of the unit, rather than midship, creating the aesthetically pleasing bus style look. The Empress became Triple E’s flagship model in 2000 and was shown at the National RV show that year in Louisville, Kentucky. The first Mercedes-Benz Class B. In 2002 Leisure Travel Vans was the first North American manufacturer to produce a Class B Motorhome on the 21.5 foot Mercedes Benz Sprinter 2500 Cargo Van. In 2005 Triple E celebrated their 40th Anniversary and held a customer rally featuring the full lineup of products - Class A & C Motorhomes, Travel Trailers and Fifth Wheels. 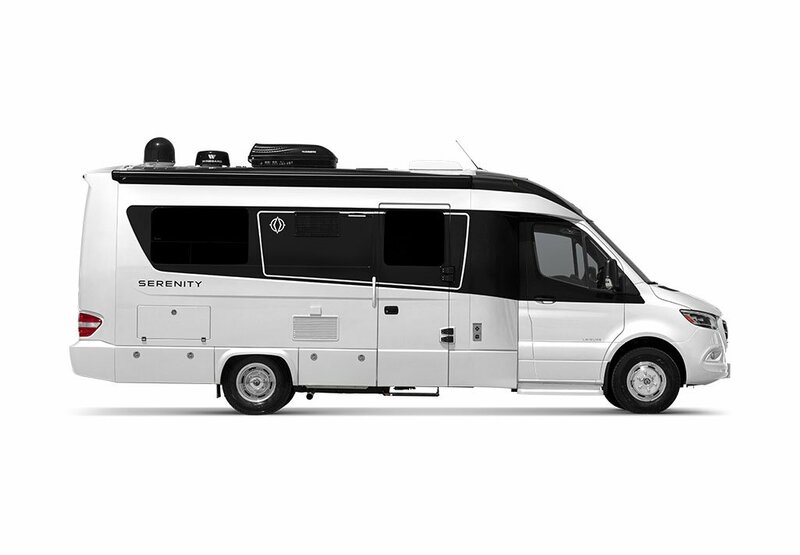 In 2005 Leisure Travel Vans created the Widebody Freedom 2 Serenity, built on the Mercedes Benz Sprinter 3500 cab chassis. 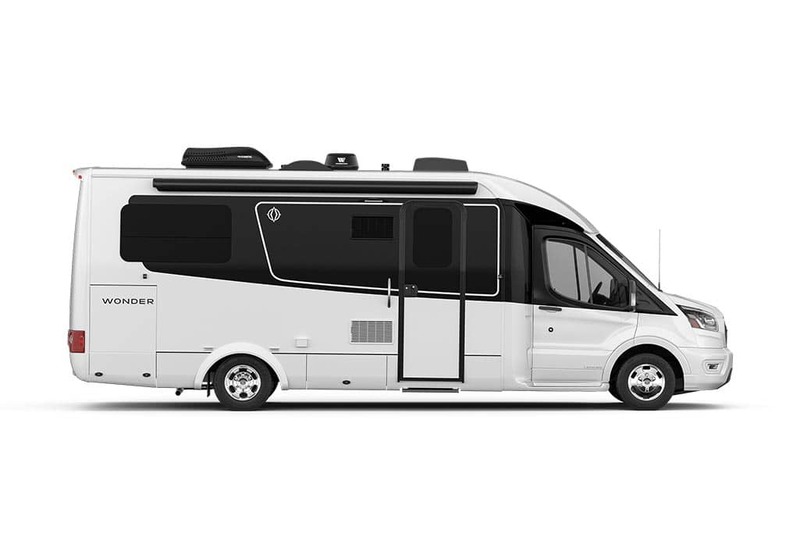 Inspired by the sleek body lines and design of the automotive industry, the Freedom 2 Serenity featured a full fibreglass body, a separate sleeping area, and a bathroom equipped with a full corner shower, toilet, sink and vanity. Launch of the Regency GT. Triple E launches the Regency GT on the Ford E-450 - a smaller motorhome in the B+ market, marketed to the retail consumer looking for a smaller, more versatile vehicle. Triple E acquires Leisure Travel Vans. Triple E acquired Leisure Travel Vans, a class B van manufacturer located in Morden, Manitoba just 7 miles down the road from the Triple E.
Launch of the Empress Elite. In the same year Triple E launched the Empress Elite A4301 43 foot motorhome. This flagship model featured a Freightliner tag axle chassis with a 500 horsepower engine, solid wood cabinetry, four slide outs and was capable of four season living. In 2009, Triple E launched the “Unity” by Leisure Travel Vans - the industry’s first class C motorhome with a queen size Murphy Bed. Built on a Mercedes-Benz chassis, the Unity quickly became recognized as Triple E’s most innovative product introductions. In 2010 the RV division completed its consolidation of Triple E RV and Leisure Travel Vans into one operation. As a result of the economic state of the RV manufacturing industry in North America during the great recession, Triple E made the decision to discontinue Class A, travel trailer and fifth wheel production and focus on the Class B and C markets - all products would be constructed on a motorized chassis, streamlining production. In 2012 Leisure Travel Vans released the Free Spirit SS, a Sprinter Van chassis featuring a built-in slide-out. This innovative floorplan proved to be another very successful product innovation. 2015 marks Triple E’s 50th Anniversary. Leisure Travel Vans re-designs the exterior of its flagship Unity to a sleek European contoured fibreglass design. A 50th anniversary interior decor package is introduced featuring white high-gloss cabinets, and solid wood cabinetry in Espresso Brown. 50 years on the road.  Triple E RV celebrates 50 years of business in the recreational vehicle industry. We look back over our journey with a deep sense of gratitude to those who went before us, to our loyal customers who have supported us, to the many hundreds of employees who served the company so well, and to our dealers who represented the company and sold our products.